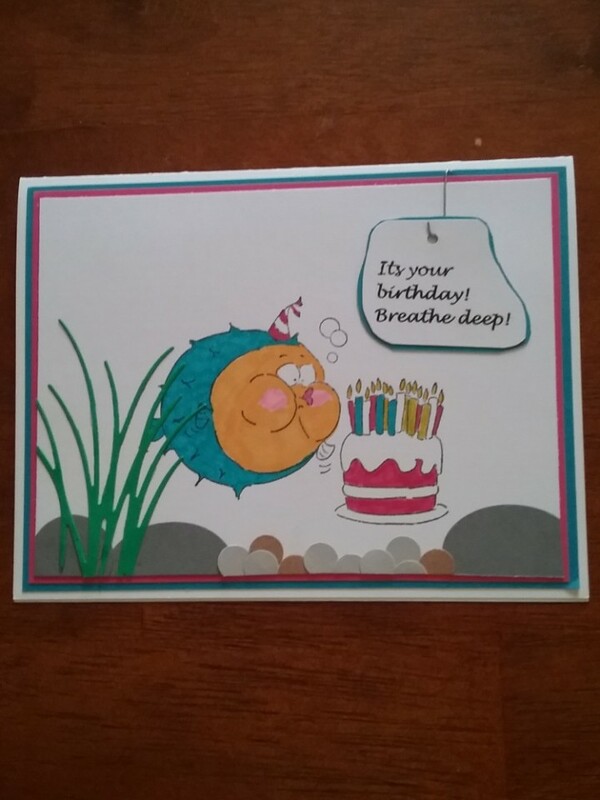 Cute little blowfish is blowing out the candles on a birthday cake. 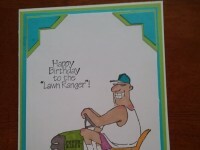 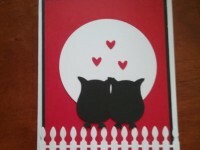 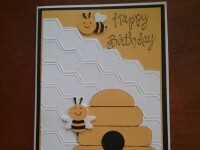 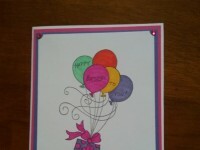 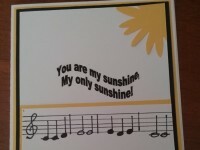 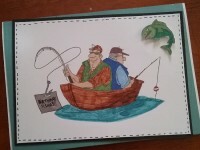 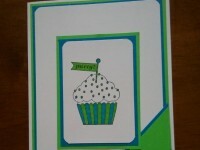 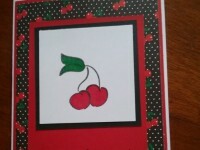 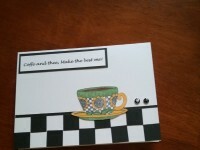 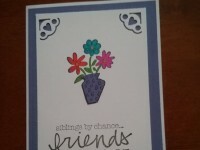 Perfect for any age this handmade card is fun and colorful. 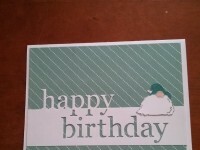 Outside says, it's your birthday, breathe deep! 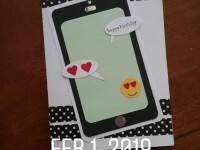 Inside sentiment says wishing you a happy Cake n candle day.